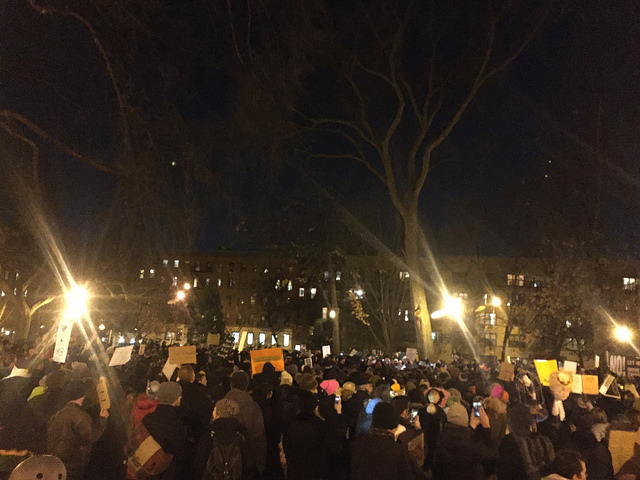 Hundreds gathered at Tompkins Square Park tonight for the Rally Against Hate, displaying signs that supported an end to racism, the ban on Muslim refugees, the proposed building of a border wall, and women’s reproductive rights. 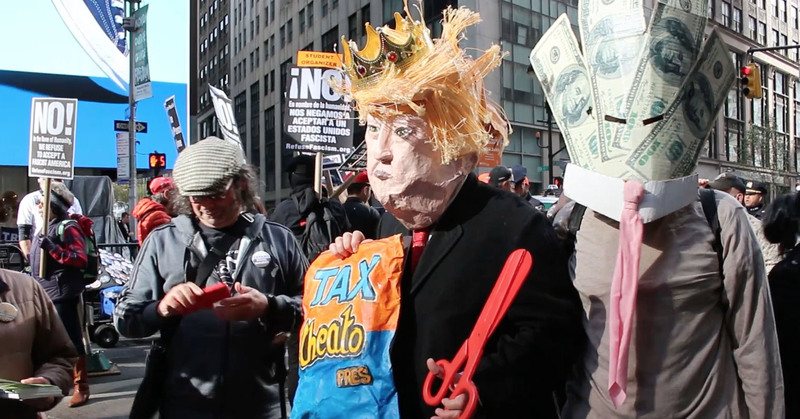 This was just the latest in a week fraught with protests and marches against the new Trump Administration’s executive actions. The recent proliferation of protests and grassroots movements points to increased public discourse on politics and human rights. 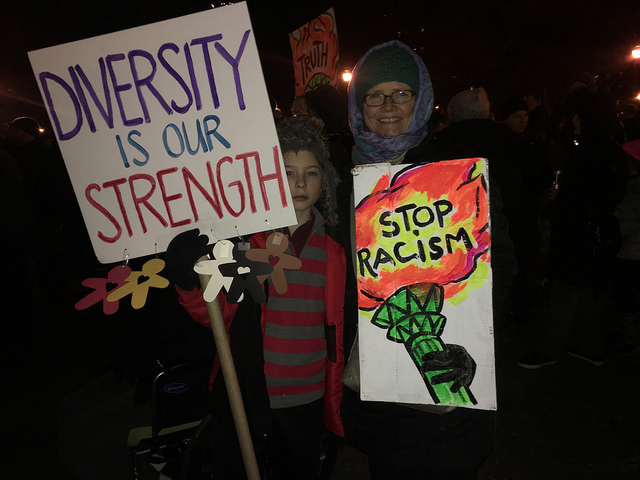 The Rally Against Hate was one example of an energized city eager to invoke change in Washington. 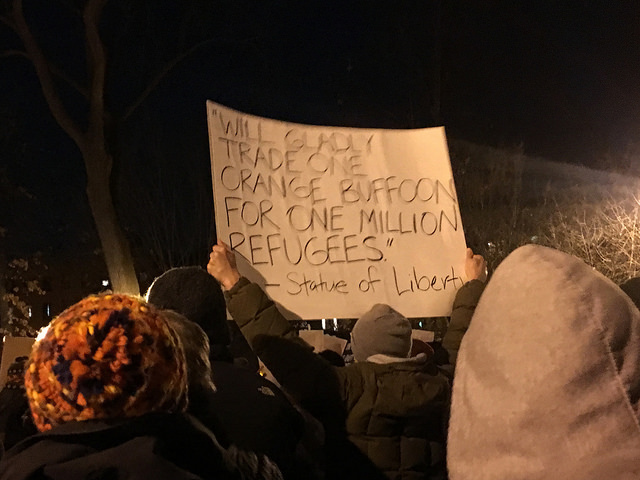 “This is a school night, and look how many people are here,” Sheryl Nelson, 41 of the West Village said, pointing to her 12-year-old son. 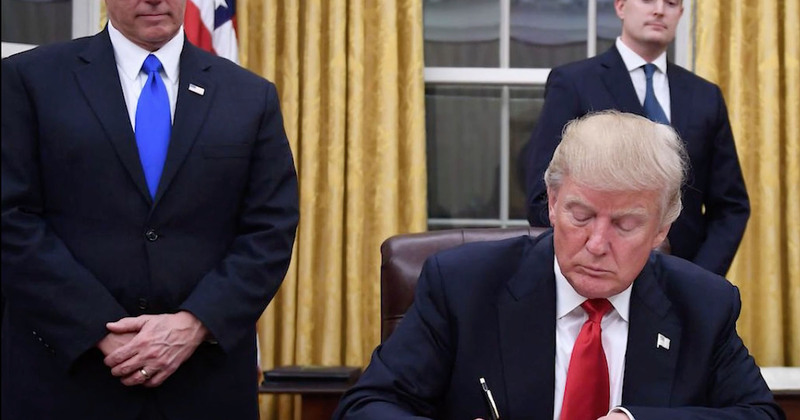 “There have been protests in D.C. in the past about pro-choice, against nuclear war, what have you, and I feel like I’ve never seen so many people out protesting.. I think that elected officials will see that people are showing up and protesting and chanting, and hopefully that will inspire them to do the right thing,” Nelson said. 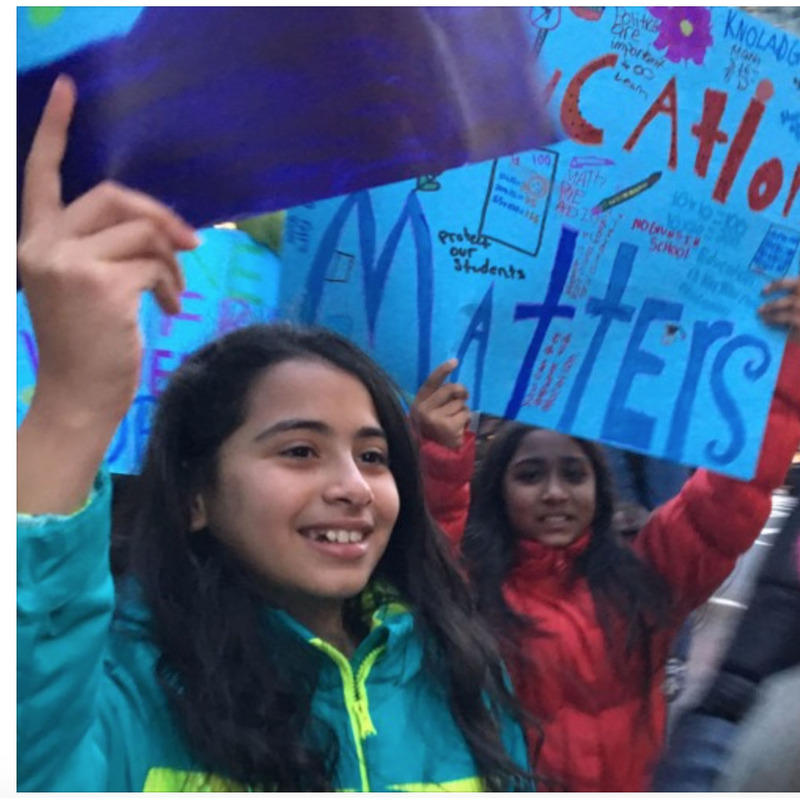 Rather than dwelling on the fear that permeates throughout the country, protesters expressed their optimism that public demonstrations would inspire the public at large to get involved with a cause that they care about. Wyndham stressed the need for protesters to go further than attending a demonstration. Lau, among others, expressed the importance of carrying on widespread movements and protests like this one, in order to give people a new outlet for expressing themselves while remaining in solidarity with one another. This was not, in her view, sore losers commiserating but rather hopeful citizens showing strength. Lau’s urgency has been echoed across the country and will, in her view and in that of many, continue throughout the next four years as more people feel the need to let their voices be heard.